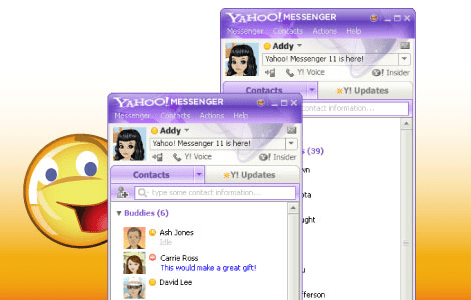 Yahoo Messenger 8.1 – Instant messaging allows you to quickly exchange messages with your online friends. Unlike e-mail, instant messages appear as soon they`re sent. By downloading the Yahoo! Messenger application to your computer, you can send instant messages to other people from around the globe, send them files or have a voice conference.